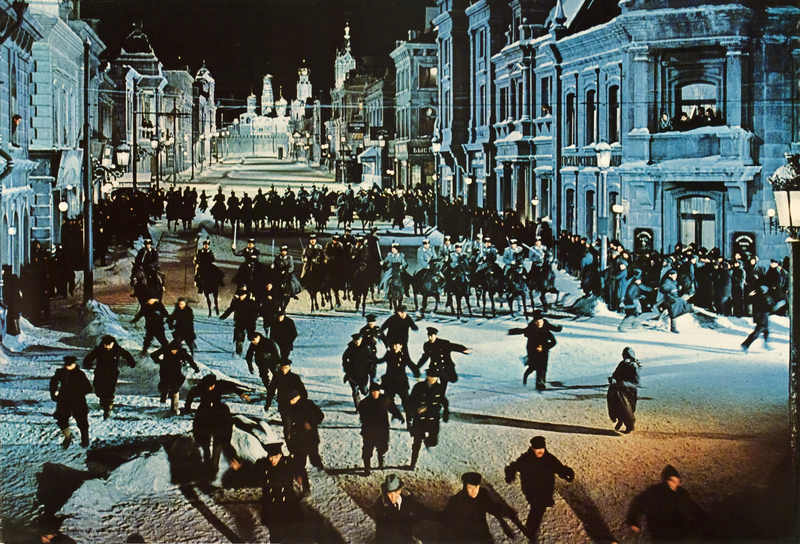 During the shooting of David Lean’s Doctor Zhivago [set in Russia during WWI and the Russian Revolution] in a Madrid suburb in 1964, a crowd of Spanish statists had to sing the “Internationale” in a scene involving a mass demonstration. The movie team was astonished that they all knew the song and were singing it with such a passion that the Francoist police intervened, thinking that they were dealing with a real political manifestation. Even more, when, late in the evening (the scene was to take place in darkness), people living in the nearby houses heard the echoes of the songs, they opened up bottles and started to dance in the street, wrongly presuming that Franco had died and the Socialists had taken power. This entry was posted in Uncategorized and tagged 1910's, 1960's, 2000's, 20th Century, 21st Century, Art, David Lean, Film, Gilles Deleuze, Philosophy, Police, Revolution, Russia, Slavoj Žižek, Slovenia, Socialism & Communism, Spain. Bookmark the permalink.